The treasury secretary said that, if completed, the agreement would be the most significant change to U.S.-China economic relations in 40 years. Treasury Secretary Steven Mnuchin said Wednesday that the U.S. and China were making progress on a trade deal. “We’ve pretty much agreed on an enforcement mechanism. We’ve agreed that both sides will establish enforcement offices that will deal with the ongoing matters. This is something both sides are taking very seriously,” Mnuchin told Sara Eisen on CNBC’s "The Exchange." “We are really focused on the execution of the documents," he added. 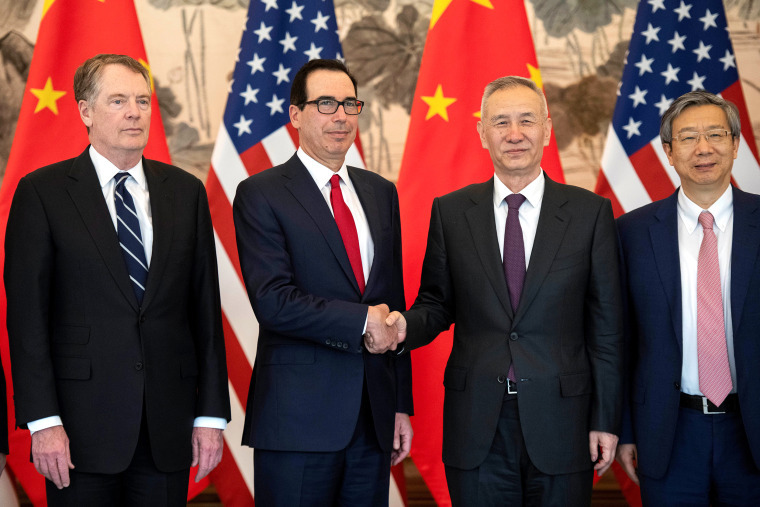 U.S. Trade Representative Robert Lighthizer and Mnuchin are negotiating with Chinese representatives to work up a long-term trade deal with China. The world’s two largest economies have imposed tariffs on hundreds of billions of dollars of goods, and President Donald Trump has threatened to extend the duties if the trade dispute can’t be resolved.